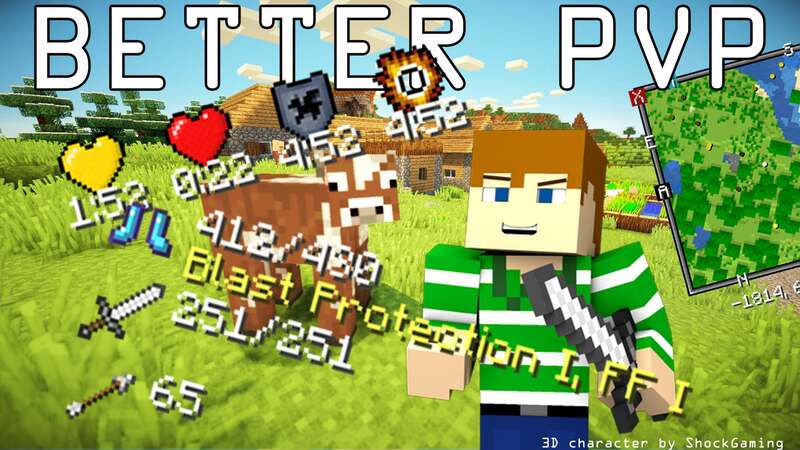 The mod adds useful features to Minecraft that can be used both in PVP and in regular survival. 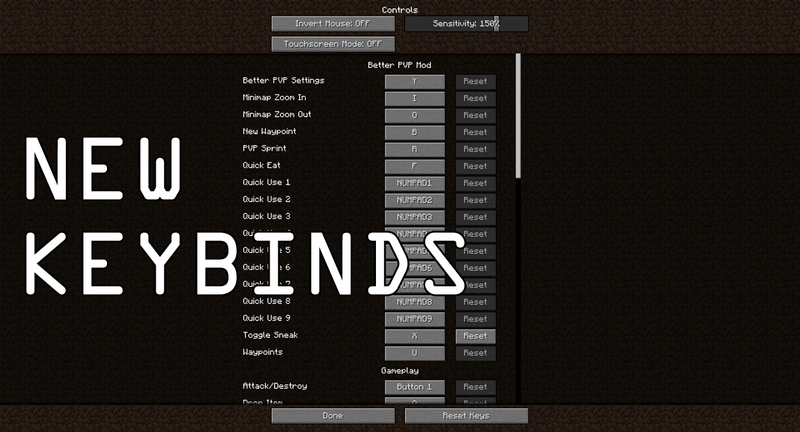 (2) useful keybinds that can make your game more efficient, biggest of which is an rpg-like actionbar system. Read more in the features list below. PM me if you would like to help translate the mod to more languages (or correct existing). You will help me use less ads on the download pages. Download and run the recommended installer for the needed Minecraft version (1.10.2, 1.9.4 etc). This should create a new "forge" profile in your Minecraft client if this is first time using Forge. To change which Forge version to use you'll have to edit the "forge" profile. Now click the download button above, click download and choose a version of the mod. Wait 5 seconds and click "skip ad" in the top-right corner of the page. Start your minecraft client and log in using the "forge" profile. If you are still having problems getting the mod to work, contact me via private message. Mini-map interface - works above and under ground. Has togglable chunk grid and slime chunks modes. Can display all types of entities in customizable colours. You can also set your own waypoints. Waypoints can be teleported to if a player has permission to do so. Each server, world and dimension will have separate sets of waypoints. Press "B" to create a waypoint. Press "U" to list all the waypoints. An interface displaying info about your equipped armour and item held at the time. 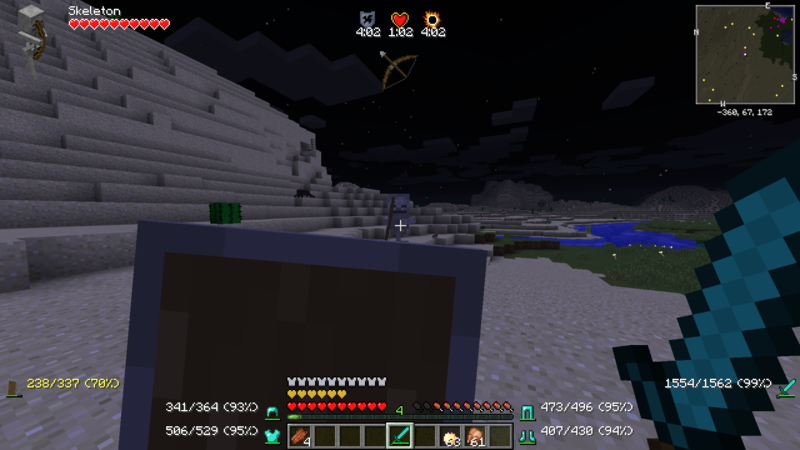 Also shows the current amount of arrows left when there is a bow in your hotbar. Quick use - action bar-like system of key binds that can automatically use a set item in your hot bar without having to switch away from your currently held item. Holding the key bind lets you keep using the item like if you were holding the right mouse button. For example: placing torched, TNT, throwing potions, eating food, drinking. Quick eat - addition to the previous feature with a difference of automatically eating food when holding a set key bind. Better sprint - sprint without having to hold forward key (W). Uses the vanilla sprint key. Toggle sneak - allows you to toggle your sneak ON/OFF and stay sneaking without having to hold anything. Notification system - on-screen notifications for various things such as low hunger, low HP, danger of explosion, being shot by arrow(s) and drowning. Entity Info - an interface displaying information about the living entity that you are pointing at including players. Edit Mode - interfaces can be moved around and also be centered and flipped around by pressing C/F keys to fit all your PVP needs. Settings - anything can be disabled or enabled at any time! 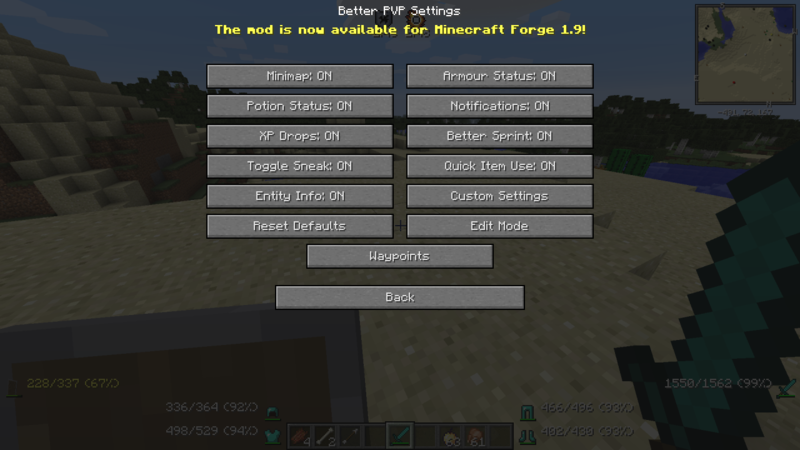 Customization - some of the interfaces provide more customization settings available in the mod settings GUI. Vattic - for using the Faithful 32x32 Textures for notifications. I'm showcasing this mod, It's a really great mod !! Thanks. 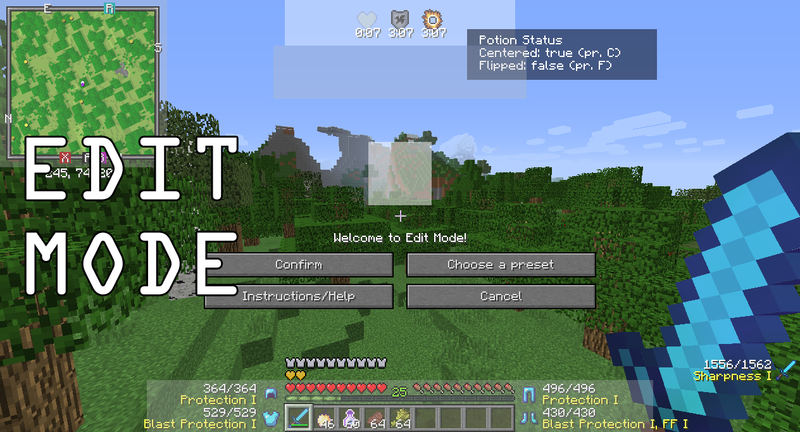 Note: You need forge for minecraft 1.7.10 and not 1.7.2 for the mod to work. + Minimap waypoints (Listed in "better pvp settings -> waypoints" and displayed on the minimap). Waypoints list can only be accessed while ingame. 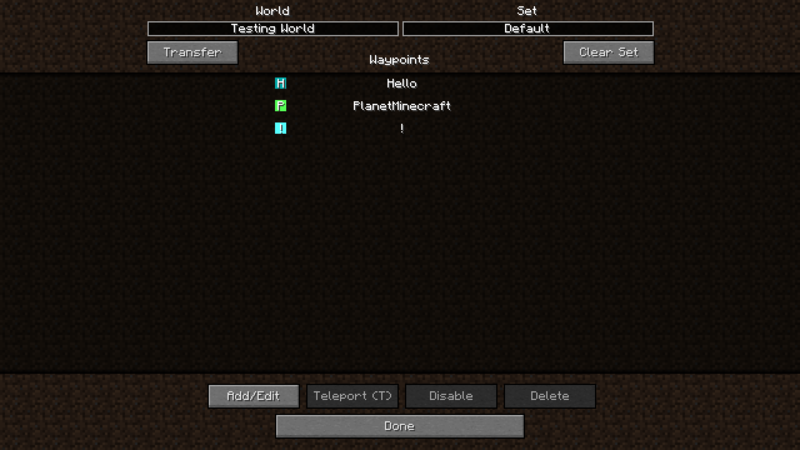 Different waypoints for different servers, worlds, dimensions (which means that it also works for nether). + New keybind to quickly add a new waypoint. Set to "B" by default. * Better cave and ocean maps. Blocks on lower elevation will now be displayed darker than ones higher (like before the graphical revamp). * Bug fix where dots on the edges of the minimap disappeared too early. Does it support Minecraft 1.8.1? I'm now studying for other programming languages like C++,Qt and others... this is the why I'm not always online. Can I port this mod to PE? Hey guys, will try to be more active from now on. If not then you can always find me on PMC. It will when there is 1.8.1 Forge. I think this might be a Minecraft bug but I'll see what I can do. You can always change the keybind from U to something else in the controls menu. 1. Have you deleted META-INF? 2. Do you have Forge installed? 4. Does your computer have enough RAM for the mod? Sorry for the long post, here have a Potato. Is this a response to MrExoticBlaze? His problem was that he was using 1.7.2 Forge but the mod was not compatible with it. 1.7.10+ only. Most mods are compatible for both 1.7.2 and 1.7.10 but this one is an exception because method for getting scaled resolution got changed in 1.7.10. Yes it was. Thanks for correcting me though!